With Field under the art direction of Universal Everything. 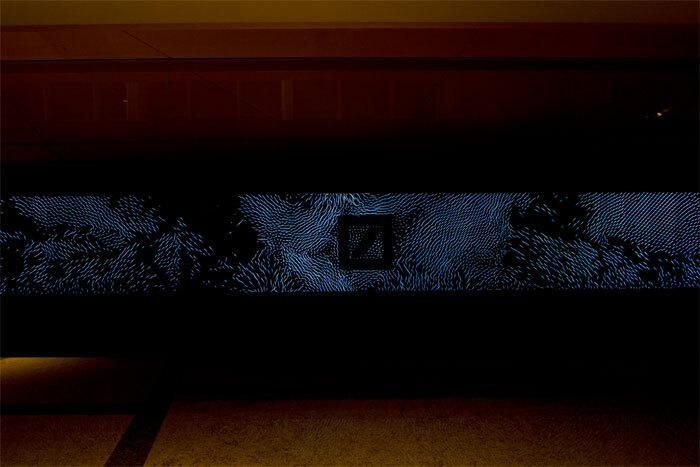 A permanent installation of 8 dynamic video artworks in the lobby of Deutsche Bank Hong Kong. 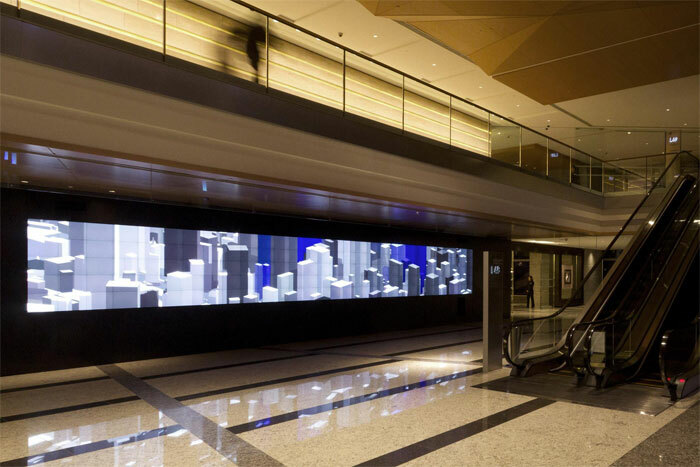 Atmospheric cityscapes, hand-drawn sceneries, patterns and landscape animations welcome visitors and staff, shown on a 12m wide hi-res screen. 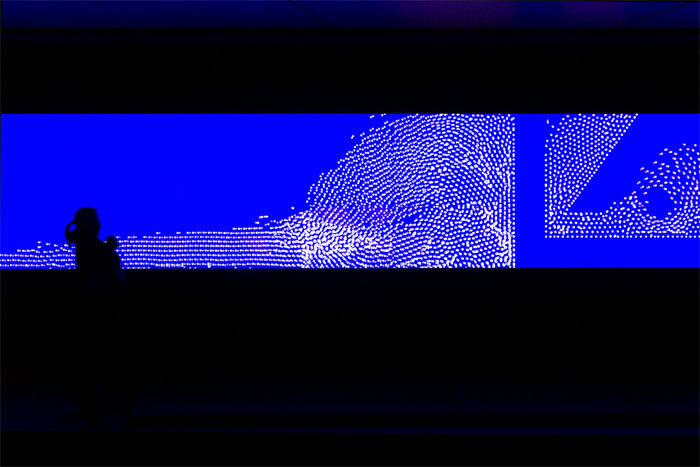 The animations are generated in realtime by a bespoke software system, making every iteration a unique and unrepeatable experience, and inviting passers-by to discover new details every day. 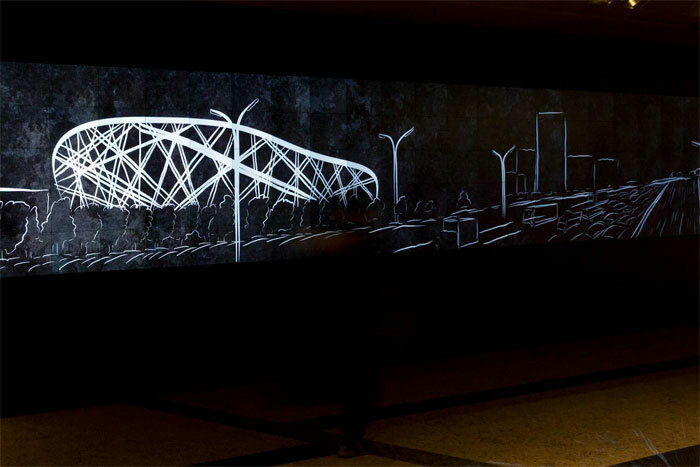 Development with Field of Strength and Global Local, two of the eight video artworks.